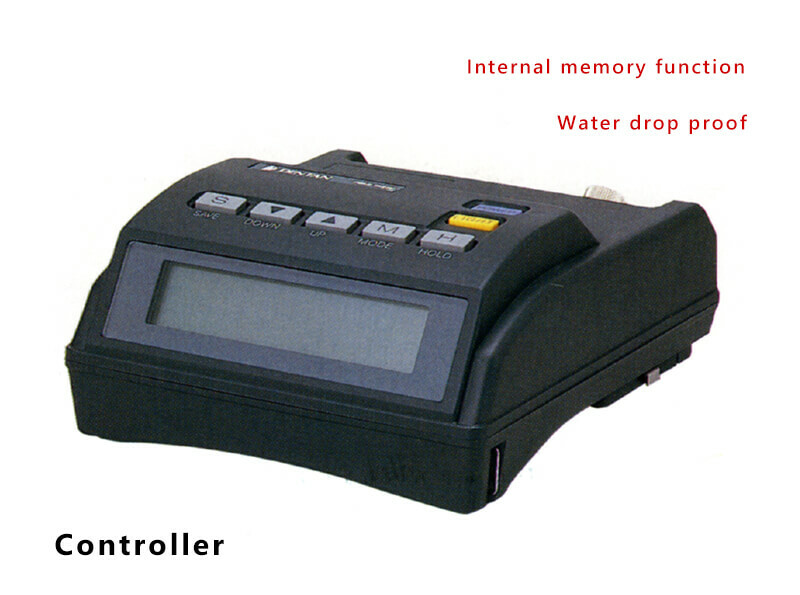 Model ET series Electric Water Temperature Meter | product | Toho Dentan Co.,Ltd. This device is used for measuring the water temperature of lakes, rivers, and coastal regions. This is an immersion-type water temperature meter with a thermistor with excellent sensing speed enclosed in a metal case. The probes and cabtire cables for all devices are designed to withstand high levels of water pressure and tension. 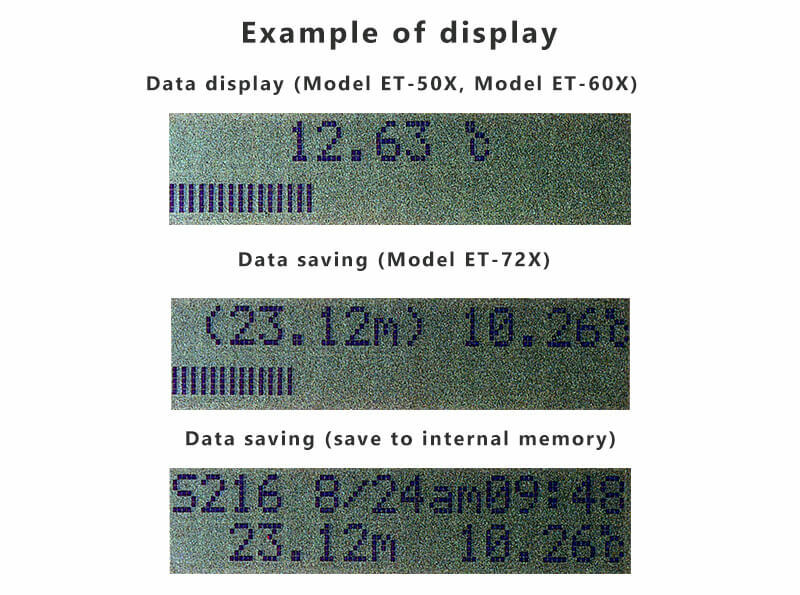 In particular, Model ET-60X for wells is capable of taking high-accuracy measurements even at high temperatures and high pressures (water depth of 1,000 m). 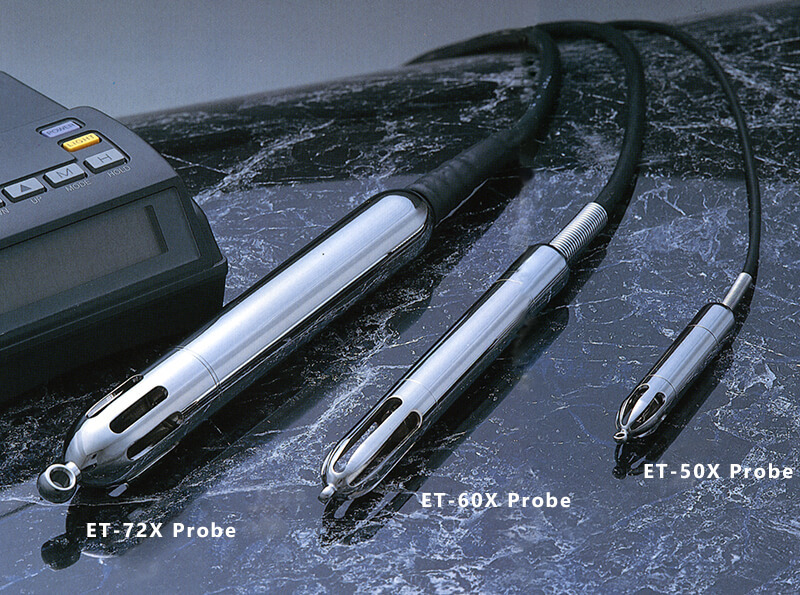 In addition, Model ET-72X is capable of simultaneously measuring the water depth, making it possible to take quick and accurate measurements of the vertical distribution of water temperature.